Sur-Powr Battery Supply was started in San Marcos in 1985 by Stanley Hughson. Mr. Hughson saw the need for a battery distributor in the area that would offer competitive prices to local citizens and farmers. At that time, there were very few automotive supply stores and none of them carried the batteries needed for farm equipment and tractors. Mr. Hughson’s battery business started locally, supplying batteries both to the public and also auto mechanic shops with local delivery routes. From San Marcos, the company began to steadily expand with routes to Austin, San Antonio, and areas in between. He must have done something right because many of our customers have been with us for over 30 years. In 2009, Stanley’s daughter, Bonnie Hughson took over the business and continues in the footsteps of her father. She continues to ensure that Sur-Powr provides exceptional customer service, coupled with an excellent product, and a great price! In 2011, Andrew Cox, Bonnie’s husband and the General Manager, came to Sur-Powr. Andrew, a previous small business owner and Army veteran, brought new ideas and a technical background to the business. “We started to branch out into different product lines, specialty batteries; even NiCd and NiMH battery pack rebuilds. I enjoy teaching and educating our customers about batteries as well as helping them solve problems,” Cox said. Sur-Powr is a woman-owned small business. We are registered in SAM and the Texas CMBL. We currently have government contracts and always seek new opportunities. 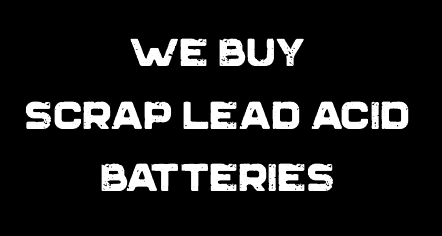 We sell to individuals, used car lots, new car lots, construction companies, government, public transportation, law enforcement, EMS, fire departments, and about every other business that uses batteries. If you need a common battery or an uncommon one, we can find it for you or tell you where to look. We challenge you to compare our prices to major chains!